Aurora Springer works as a scientist during the day and writes novels in her spare time. She has a doctoral degree in molecular biophysics and discovers science facts in her day job. She has invented adventures in weird worlds for as long as she can remember. Aurora enjoys creating weird worlds and their peculiar alien inhabitants. 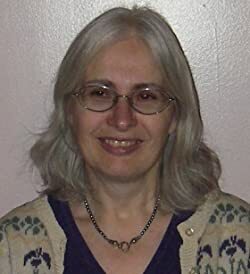 Her works include science fiction and fantasy with romance, mystery and a sprinkle of humor. She was born in the UK and lives in Atlanta with her husband, a dog and two cats to sit on the keyboards. Her hobbies, besides reading and writing, include outdoor activities like watching wildlife, hiking and canoeing. Please enter your email address and click the Follow button to follow Aurora Springer!